Its spacious terrace and excellent views make this the perfect place for savouring exquisite barbecued and grilled creations. 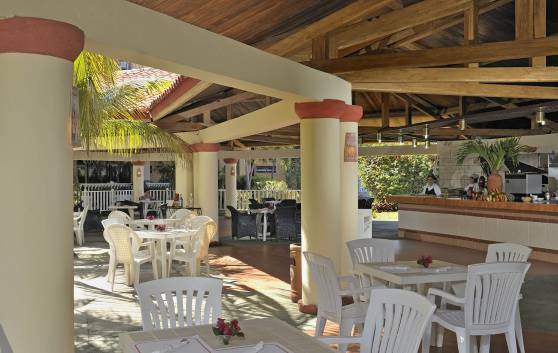 At lunchtime and with à la carte service for dinner, you can explore the authentic Caribbean flavours, with its wonderful meat, fish and seafood dishes. 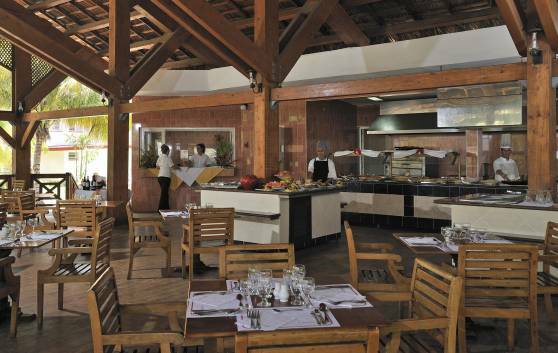 A virtual festival of tastes during the breakfast, lunch or dinner buffet service. 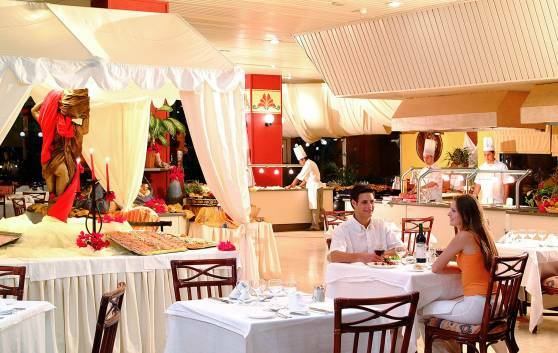 Our key to success: a pleasant ambience, theme nights with a wide assortment of dishes and personalized service. Discover the wonders of traditional oriental cuisine at the Quianmen restaurant, one of the coziest spots in the hotel. 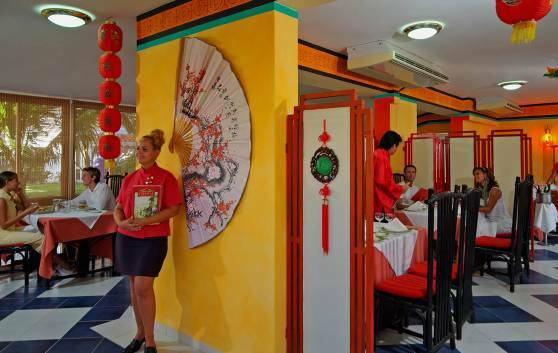 Enjoy the intimacy of its ambience as you sample the different oriental dishes. 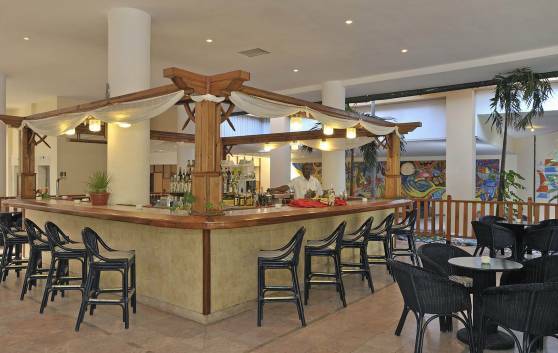 At the Alisio lobby bar, guests can enjoy a broad array of cocktails, fruit juices and soft drinks served by our cordial staff. The Brisote aqua bar located in the swimming pool fringed by coconut palm tress, offers delicious cocktails and soft drinks, a perfect setting especially when swimming with the family or making new friends. 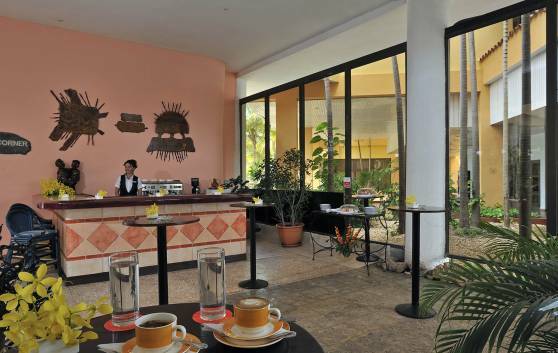 For those who prefer non-alcoholic beverages, the hotel offers a cozy spot in the lobby, ideal for meeting with friends or for sipping a delicious capuchino, tea or fruit juice. Opened 24 hours a day. Tramontana serves drinks and snacks to guests relaxing by the swimming pool in the Coral section. This attractive snack bar is open 24 hours, but only serves alcoholic drinks until 2am, including the most well-known tropical cocktails. 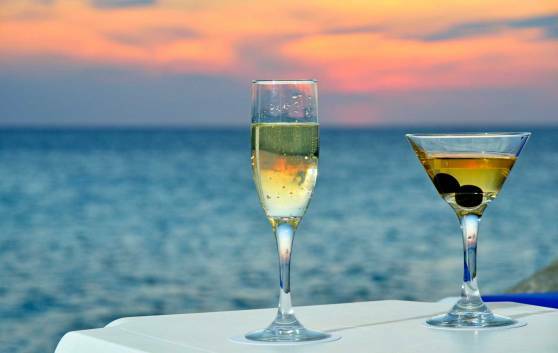 Enjoy a relaxing dip on the beach in the company of exquisite tropical cocktails and creations made with pure Cuban rum. 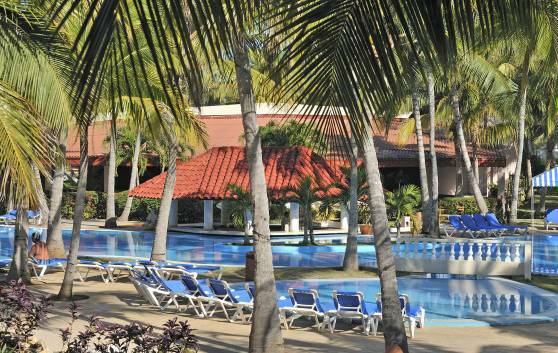 An excellent option for making the most of the bright Cuban sunshine.